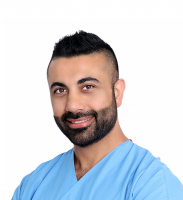 Since 2012, Al Reem Dental and Cosmetic Center LLC Dubai has been set up. In here, Al Reem Dental and Cosmetic Center LLC Dubai provide the latest high-tech equipment with a comfortable, relaxing environment. This allows the clinic to provide the patient with high-quality care. Al Reem Dental and Cosmetic Center LLC priority was to combine the years of dental experience with modern and sophisticated dental technology that brings a short and pain-free visit to the patient. The centre main focus was to create a comfortable and relaxing environment in which the patients could feel at home, relax, and enjoy their dental experiences. And as a vision, Al Reem Dental and Cosmetic Center LLC Dubai dream “to become a leading healthcare community centre by achieving extraordinary dental care quality. In a professional and relaxing environment, the centre focus is to provide both general dental and speciality dental services under one roof. For every general or speciality dental treatment, Al Reem Dental and Cosmetic Center LLC Dubai aims to give a benefit for the patient. The dentistry involves the prevention, diagnosis, and treatment of a wide range of body condition, disorders and diseases affecting the region of the body’s teeth, gums, and maxillofacial (associated with the jaw and face). The benefits of treatment with orthodontics often go beyond the obvious physical changes of an improved bite and straighter teeth; it is also a great way to improve the overall self - image of a person. While it is important to have beautiful straight teeth, the need to alleviate any potential health problems associated with teeth or jaw is even more important. With the help of laser hair removal technology, the patient can destroy the hair follicle and prevent future growth. The dynamic cooling device ensures the safety of the skin just milliseconds before the laser pulse by spraying a cooling cryogen burst.